Our History. - The Eye-Bank for Sight Restoration, Inc. 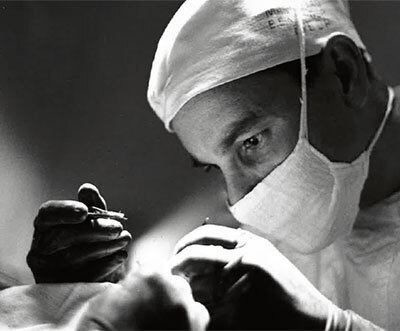 The Eye-Bank for Sight Restoration is a pioneer in the field of transplantation. On December 15, 1944, the organization was founded in New York City by ophthalmologist and cornea surgeon, R. Townley Paton, M.D., and spearheaded by Mrs. Aida Breckinridge, a public relations powerhouse and the organization’s first Executive Director. How their revolutionary work cured thousands of individuals of blindness then and continues to do so today is the story of a modern day miracle. As early as 1905, doctors had discovered that cornea blindness could be cured by removing the damaged cornea — the clear, dime-sized tissue covering the eye — and replacing it with another clear human cornea. These transplants were rarely performed because donor tissue was not readily available. Dr. Paton’s dream was to create a system that would allow people to pledge their eyes at death so that others who suffered from cornea blindness could regain their sight. 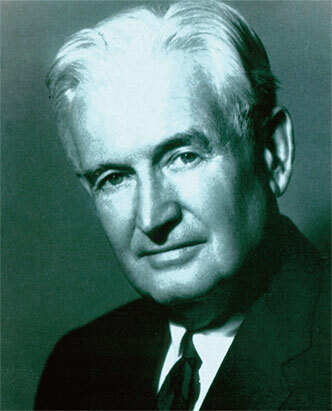 Dr. Paton had trained with the famous William Holland Wilmer, M.D., at Johns Hopkins in Baltimore and became affiliated with Manhattan Eye, Ear and Throat Hospital when he established his own practice in New York City. He performed cornea transplants at the hospital with tissue he obtained privately. Working with a small group of doctors and laymen from surrounding institutions, Dr. Paton designed a plan to systematically obtain, preserve and redistribute eye tissue to doctors who were performing cornea transplant operations. 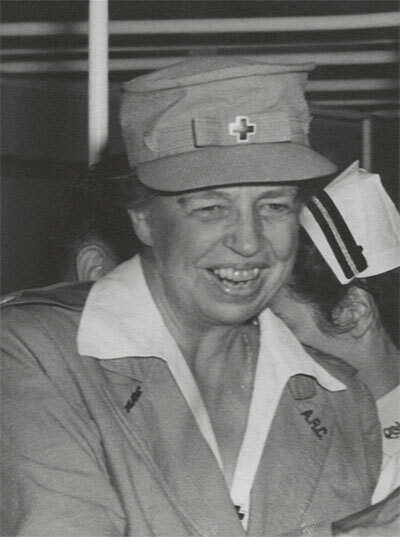 To help implement the plan, Dr. Paton wisely solicited the help of Mrs. Aida Breckinridge who was well connected to society, business leaders and political figures of the time and could wield the influence needed to popularize the unique idea of an eye bank. 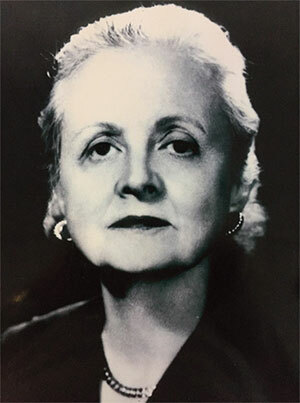 Mrs. Breckinridge had previously been instrumental in establishing the Wilmer Eye Institute in 1929 and was the leader of several social causes, including President Hoover’s Child Health Association. 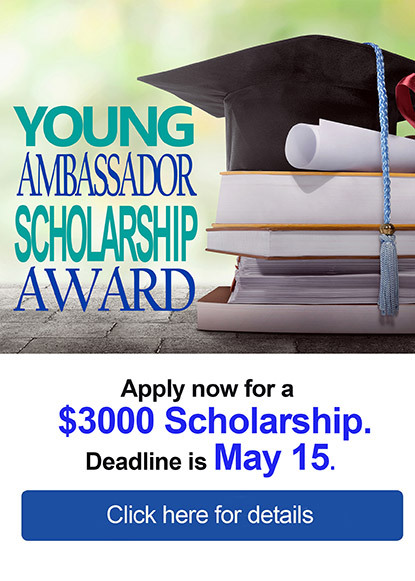 Mrs. Breckinridge enlisted the support of influential people and obtained The Eye-Bank’s start-up funding of $25,000 from the Milbank Foundation. She invited Albert Milbank to chair the Council, which included prominent figures such as Ethel Barrymore and Booth Tarkington; Thomas Watson, founder of IBM; Senator Harry F. Byrd and former President Hoover. Five former First Ladies joined —Mrs. Benjamin Harrison, Mrs. Thomas Preston (the former Mrs. Grover Cleveland), Mrs. Calvin Coolidge, Mrs. Theodore Roosevelt and Mrs. Franklin Delano Roosevelt. Mrs. Breckinridge recognized the power of the press and with Dr. Paton’s help, she released information about The Eye-Bank’s mission, emotional stories of patients receiving the gift of sight and explained the cornea transplant procedure in layman’s terms. The New York Times Magazine printed the first story in February 1945 and another touching piece appeared that November in the Reader’s Digest, which was widely read in the U.S. and around the world in translated editions. The Reader’s Digest article made a major impact in creating awareness about eye donation. For a year following the story’s publication, the edition was carried in the pocket of every seat on Eastern Airlines. These articles and hundreds of others in newspapers around the country, as well as commentary by radio personalities, generated a lot of interest for The Eye-Bank. People donated their eyes and others received the gift of sight. The eye bank was underway, but not without hurdles. State regulators were wary about incorporating a ‘bank’ that did not do financial transactions. 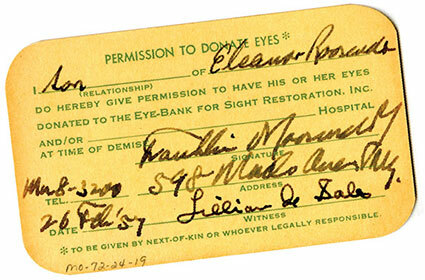 With legal counsel, the problem was solved by inserting a hyphen into the phrase eye bank and adding further description, resulting in The Eye-Bank for Sight Restoration, Inc., as it is called today. Since there was no legal precedent in place for obtaining anatomical gifts, laws were amended to allow persons to state the manner in which their body should be disposed after death. The Eye-Bank was the only central clearinghouse for donor tissue and the American Red Cross assisted in its quick transport – with tissue going first to The Eye-Bank for processing, and then to a doctor waiting to perform the sight-restoring surgery. 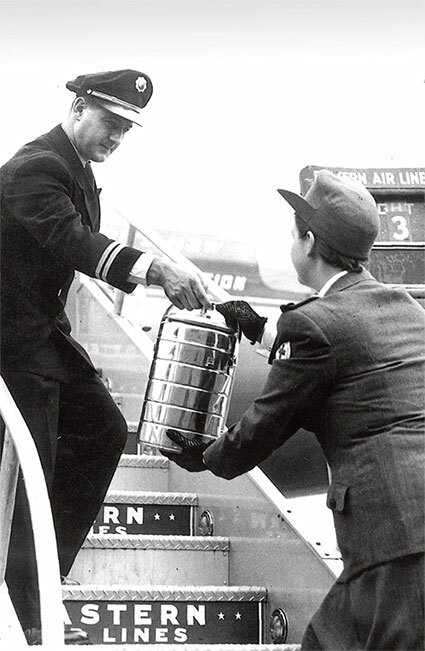 Eastern Airlines, then headed by Captain Eddie Rickenbacker, agreed to fly donated tissue from The Eye-Bank to where it was needed in the country. Hospitals in New York and later around the country, were brought on board to help provide donor tissue. The Eye-Bank also offered training in cornea transplant surgery to ophthalmologists from different parts of the country who would then return home ready to treat patients with the new procedure. After successfully restoring the sight of patients at his clinic, Dr. Paton published his findings and procedures in medical journals and also held symposiums for doctors. By the end of the first year, 60 cornea transplants had been made possible according to The Eye-Bank’s first Annual Report. The initial network of 22 hospitals in the New York area had grown to include 56 others across the country. Since its founding, The Eye-Bank has supplied tissue for tens of thousands of sight-saving cornea transplants. The Eye-Bank continued to operate out of private offices at Manhattan Eye, Ear & Throat Hospital until 1997 when necessary expansion and modernization required a move. The Eye-Bank relocated to 120 Wall Street in New York, City – a move which provided newly-designed administrative offices and a state-of-the-art ocular laboratory. The entire office and laboratory were again renovated in 2013. Even during the relocation efforts and in 2012 during Hurricane Sandy, The Eye-Bank maintained round-the-clock operations for processing sight-saving donor eye tissue. In a relatively short time after it was founded, The Eye-Bank for Sight Restoration was decentralized and other eye banks were opened to handle tissue on a more local level. In 1961, The Eye Bank Association of America was founded with 25 member eye banks. Today, the membership exceeds one hundred and includes locations in Canada and Puerto Rico. Eye banks now exist throughout the world. 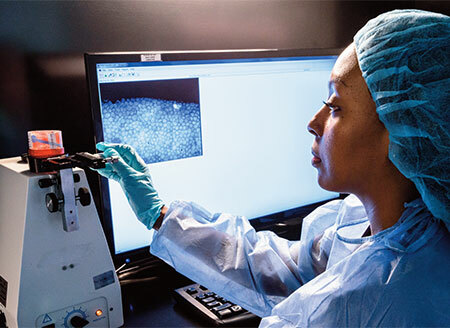 Today, more than 49,000 cornea transplants are performed each year in the United States with more than 1,300 of those transplants performed annually in the New York Area with donor tissue provided by The Eye-Bank for Sight Restoration. While cornea transplant surgery was always highly successful, advanced medical technology has increased the success rate to approximately 95 percent. Since the cornea has no blood supply, it is seldom subject to the rejections that plague other organ transplants. Also, surgical microscopes and improved instrumentation expedite the procedure for both the surgeon and the patient. Today, cornea transplants are routinely done on an out-patient basis. Two things about eye banking do remain the same—the smile recipients have when their sight is restored and their gratitude to the generous donors who have made it possible.